So, that was day one. How was it for you? 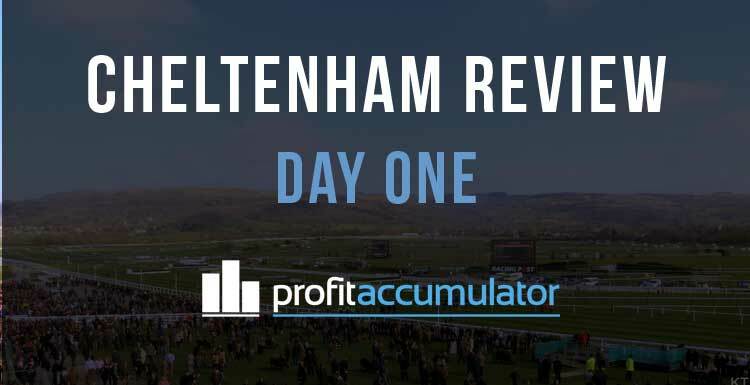 There were plenty of offers to get stuck into and plenty of members made a decent amount. Some of our forum users were reporting a struggle finding good matches throughout the day but a few bookies' odds generally held firm. One of the main generators of profit for Day 1 were the price boosts - always a favourite during Cheltenham week. The £1,000-a-month thread daily guaranteed profit hit £243.50, and the £300-a-month thread was at £127 - this is profit without any horse racing refunds. Bad Astronaut: I had 5 Winners that I wanted to come second, 1 winner I wanted to win and a couple of my mug bets won. About £50.00 up and an empty exchange after day one. jimmyp45: £290 for me. Hit four refunds all day. The morning graft/hunt for boosts was nearly all my profit. Better luck tomorrow, hopefully. M B B: Profitable day for me £200fb on Altior £150 on the extra place a few more refunds and the majority of risk free offers and boosts. Think about £650 so up there - with one of my best days. Lee Bolt: £90 and £40 in free bets for tomorrow. Not bad. Could have a lot more, hopefully a bit more luck tomorrow. Halberto: £165 up with £145 in free bets to use tomorrow. My first ever Cheltenham. If that can happen every day for the rest of the week I will be very happy! I may take on the boosts tomorrow too! Froggy4812: £300 profit. Very unlucky not to hit the extra place which would have doubled my profit minimum. Steady start. Duke: Think about £50, only spent an hour before work placing bets so I'm happy with that. TheBettingDonkey: Up about £170 and I missed out on two races! Mainly made up of Price boosts, Betfred 2nd place and Bet365 winners.